"Alana is an inventive, energetic and imaginative musician who has a particularly vibrant and distinctive style of fiddle playing." "Fiddler Alana Cline delighted our audience at Canada Day Celebrations at Mel Lastman Square, July 1, 2013. Her Celtic fiddling is exquisite, solo or accompanied by other musicians, I recommend her for any festival performance." "Alana Cline is a highly gifted musician bursting with talent and personality. She transmits the magic of the stars." "Alana Cline is a remarkably talented musician, who plays Irish, Scottish and Cape Breton fiddle tunes with great energy, style and spirit. She really gets inside the music, and lights up the room with sparks of creative fire. With her verve and versatility, she makes sessions come alive. Watch her closely; here is a fiddle player who is going places." David A. Wilson, author, Ireland, A Bicycle and A Tin Whistle; Professor, Celtic Studies Program, University of Toronto. Alana Cline is a Toronto based Celtic fiddler who combines Irish, Cape Breton and Scottish styles to create her own sound. Alana performs solo, as a duo with Leigh Cline, or with her band whose personnel can be tailored for the specific event. She performs at festivals, concerts, pubs, corporate events, weddings and house parties. Alana hosted the weekly session at Toronto's An Sibín Pub for over three years. 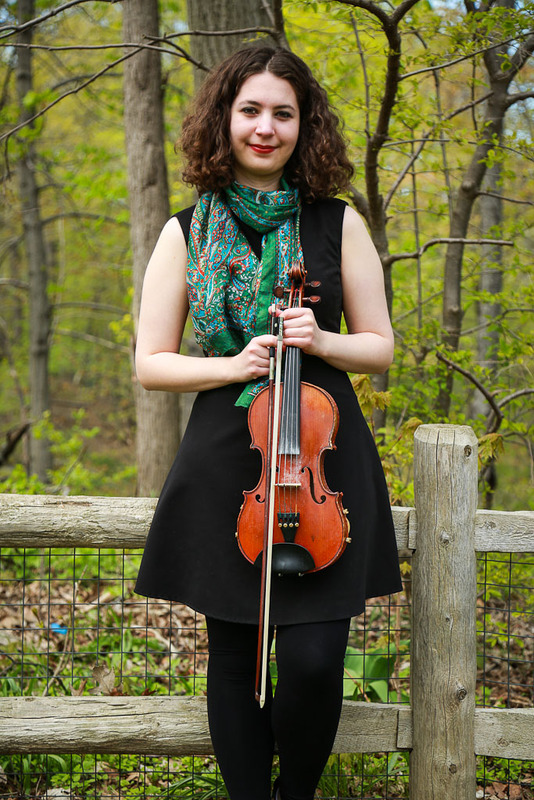 Alana has studied with Cape Breton fiddler Sandy MacIntyre and Irish fiddlers Maeve Donnelly, Kevin Burke, Liz Carroll, Paul O'Shaughnessy, Tony DeMarco and Patrick Ourceau.